SAN JUAN - The governor of Puerto Rico, Ricardo Rosselló, has announced that he will visit Washington, DC, following the victory of statehood in the status referendum held on Sunday on the island, to notify Congress, the White House, and international forums of the results. 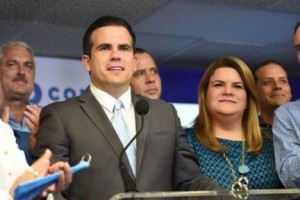 Rosselló noted that statehood received 97 percent of voters’ support, which represents more than 500,000 votes; a participation of about 33 percent compared to the voters in the November 2016 election event. On the other hand, independence and free association received 1.5 percent of the vote, while the current territorial status gained just 1.3 percent. “Today, we the people of Puerto Rico are sending a strong and clear message to the world claiming our equal rights as American citizens. We will now take these results to Washington, DC, with the strong support of not only a duly executed electoral exercise, but also of a contingency of national and international observers, who can attest to the fact that the process was fair, well organized and democratic. Said contingency will be giving a report to Congress and the federal government on this historic election,” added the governor. Rosselló congratulated the people for once again demonstrating their commitment as citizens and asserting democracy. He further argued that, in a democracy, the expression of the majority that participates in the electoral processes prevails. He recalled that, in elections in the United States, between 30 percent to 55 percent of eligible voters cast their votes to elect their president and representatives in congress. "At Wisconsin's ratification as a state in 1848, 23,183 voters from a population of more than 130,000 people participated, which represented 17 percent of its population. In addition, in 1911 Arizona did the same with 15,489 voters of a population of 217,000, 7 percent of its population. In 1940, Hawaii requested to initiate a process toward statehood with a 35 percent turnout. Meanwhile, in 1946, Alaska began its admission process with the participation of 16,375 voters with a population of 75,000, which represented 21 percent of its population. Today, the results equal or exceed those percentages," stressed the chief executive. “From today going forward, the federal government will no longer be able to ignore the voice of the majority of the American citizens in Puerto Rico. It would be highly contradictory for Washington to demand democracy in other parts of the world, and not respond to the legitimate right to self-determination that was exercised today in the American territory of Puerto Rico,” he declared. Finally, the governor stated that he will be designating the members of the Equality Commission, who will perform their duties before the federal House and Senate, as was done in the past by some states with the Tennessee Plan. However, according to one Puerto Rican who works for the federal government in Washington, speaking on condition of anonymity, said that the admission of a new Democrat-leaning state into the Union is likely to receive a frosty reception from a Republican-controlled Congress and White House that is currently scrambling to maintain consistent voting support from its members. In fact, he said, there is significant resentment in Puerto Rico over the millions of dollars spent by the governor in conducting a meaningless referendum when the island does not have sufficient money to keep schools open and assist the elderly.